The Switzerland President, signed an agreement with President Uhuru Kenyatta that will see his country join Kenya in the ongoing war against graft. 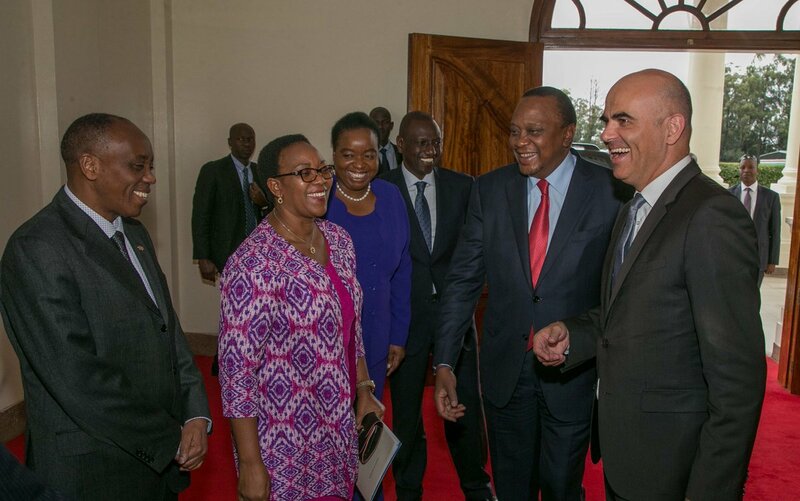 President Alain Berset promised to work with President Uhuru Kenyatta to return all stolen assets to the country. The agreement, Framework for the Return of Assets from Corruption and Crime in Kenya (FRACCK), will see billions of shillings stolen during the Anglo leasing and other crimes by individuals, returned to Kenya. “I am extremely pleased that we’ve signed this framework. This framework will allow Switzerland to return financial assets that have been blocked. For example in the Anglo leasing case.” Said President Berset. President Uhuru noted that his government will not allow corruption to reign in his government. The Switzerland President is on a 4- day official visit to Kenya and will also be visiting the Daadab Refugee camp.